Below a selection of hand painted shop fronts from around Dublin. THE BAKERY, Rialto, Dublin. Design Signs of Power. SPROUT KITCHEN, Exhcequer Street. Design Francis Curran. Fascia and windows hand painted. DUNNES HARDWARE, Camden Street, Dublin. Design Signs of Power. 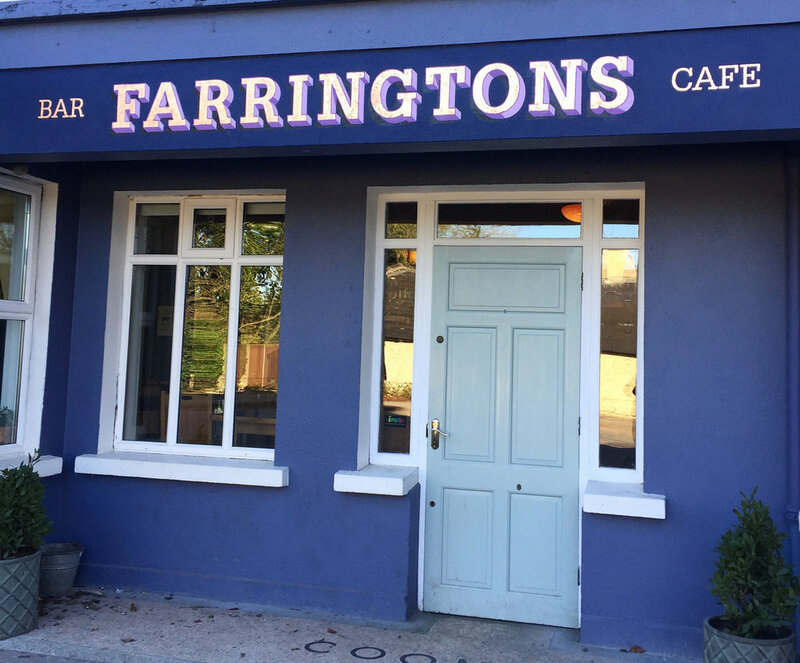 FARRINGTONS, Kildare. Design Leonie Henson. Copper Leaf. THE COLLECTIVE JEWELLERS, Drury Street. Design: Rodrigo Maruso. Gold leaf. SEVEN OAKS AND STEELE, Albert Walk, Bray. Design: Firefly Design. Copper leaf. BOW & PEARL, Rathmines shopping centre. Design: Bow & Pearl. Gold leaf. GOOSEBUMP, Francis Street, Dublin. Design Goosebump Agency. PROPER ORDER COFFEE CO, Smithfield, Dublin. Design Proper Order. FISHBONE, Clontarf, Dublin. Design Leonie Henson.